Comments Eye catching intensity of the deep burnt orangish cinnamon color! This Natural and untreated Hessonites glow with such Sattvik intensity and potency, that your eyes are riveted to it! The immense clarity of almost 100% and a magnificent cut, just reflect the powers of Rahu! 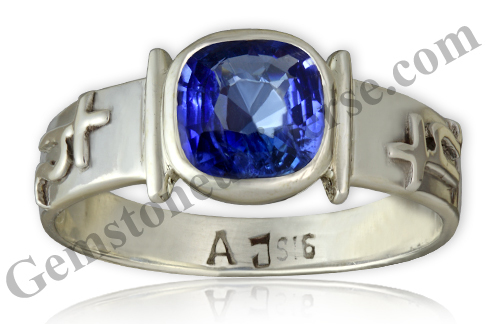 From the Nivitigala mines of Sri Lanka, this one has astounding Jyotish powers! 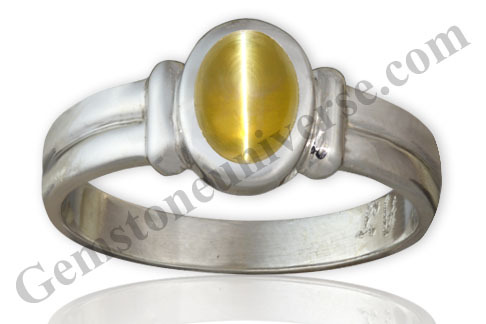 Has made an outstanding Rahu talisman, when set in this sterling silver ring!Note: The above links generally exist on the website for a period of 40 days after which they are periodically deleted to make way for new gemstones and to enable faster browsing. Comments Flawless eye clean Yellow Sapphire with deep golden butter yellow color. Symmetrical Oval cut, The best prime golden and desired color in a Yellow Sapphire, loupe clean clarity and over 3.5 carats with no treatment make this yellow sapphire very special. 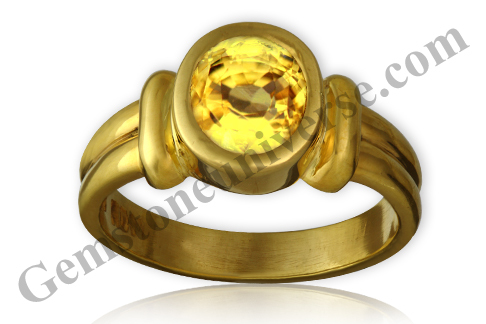 Set in 22 K Gold ring, this is a great example of what exactly is a Jyotish Quality gemstone. Just like its pristine and pure planetary lord-Brihaspati/ Jupiter this Yellow Sapphire will deliver great value and great results. Comments The depth of this gemstone is just fantastic! It brings out the famous Cornflower Blue color so beautifully that you are just mesmerised with this gorgeous beauty! A totally untreated and fully natural Blue Sapphire, from Sri Lanka! A gemstone full of color and depth, with a amazing cut, and also filled with the Sattvik and powerful energies of the karmic planet Saturn! Set in a Talismanic ring made of Sterling silver with the ancient and holy symbols of Lord Saturn and set to please the Lord Shani, to bless with all that he has to offer! Note: Thank you dear patron for your gracious testimonial! 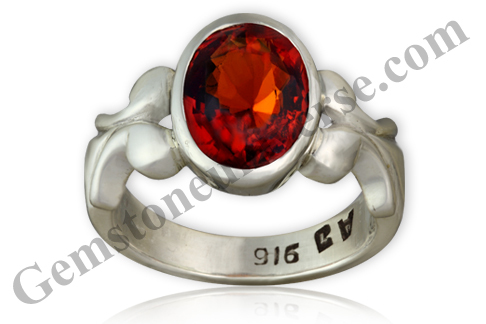 Selected Rings, Pendants and Talismans made available to Gemstoneuniverse.com patrons in April 2011. Comments A ravishing color, with the most ravishing energies! A Certified organic and natural Red Coral from Japan! This Sattvik Cabochon beauty has a top grade flawless surface and wonderful evenness of color! 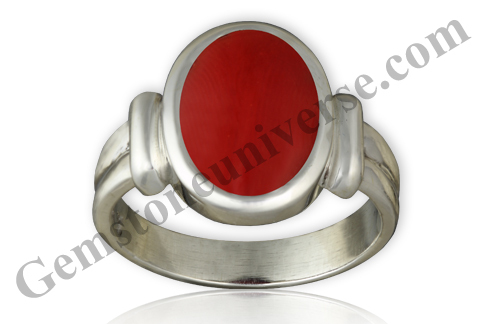 A superior Jyotish talisman of immense powers and set in a sterling silver ring to deliver the best of the powers of Mars! Comments A delicate gemstone with the optimum effect of milk and honey in its color and a chatoyant that is not only sharp and perfectly centred, but also noble and auspicious! A Sattvik gem with the most mystical and powerful Jyotish energies! A Cat’s eye is said to be equivalent to the powers of a Blue Sapphire! Set in a sterling silver ring and ready to deliver the best results of the South Node – Ketu!Note: The above links generally exist on the website for a period of 40 days after which they are periodically deleted to make way for new gemstones and to enable faster browsing. Comments The vivid Zambian green that is unique to the Zambian Emerald is totally breathtaking! This fully natural and unenhanced Zambian Emerald with an empowering Sattvik nature will surely take to the heights that Mercury is capable of! 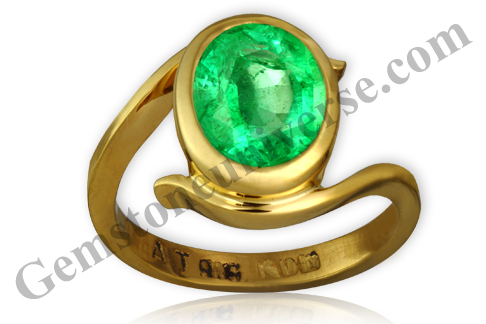 Has made of empowering Jyotish talisman for Mercury the planet of Business and communication and finance when set in this 22K Gold ring!Note: The above links generally exist on the website for a period of 40 days after which they are periodically deleted to make way for new gemstones and to enable faster browsing. Comments A rare sight nowadays! A fully natural and untreated Ruby that is supremely glittering and lit from within with the best of Sattvik Sun energies! This Ruby from Madagascar is a perfect faceted Oval gemstone, which accentuates the lustre and brings about the good clarity levels! 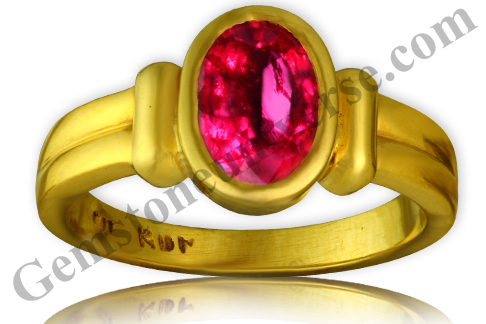 A powerful gemstone set in a 22k Gold ring and making a talisman that will give the best results in enhancing the power of Lord Surya/ Sun in the chart!Note: The above links generally exist on the website for a period of 40 days after which they are periodically deleted to make way for new gemstones and to enable faster browsing. ©1999-2010, Gemstoneuniverse.com, All rights reserved. Comments Not only is this unique implantation of gem therapy extremely effective as it does not compromise on gem quality, but also is becoming very popular! 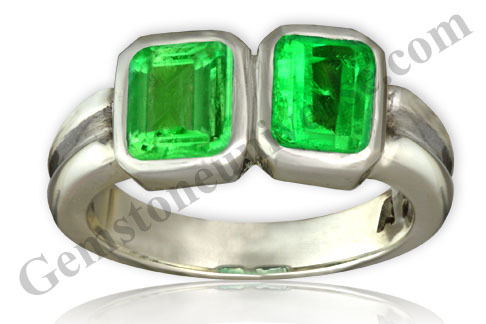 2 extremely potent and powerful, eye clean gems with the most alluring spring grass green color, and also fully natural and unenhanced Emeralds from Colombia set together in a sterling silver ring and making a potent and powerful Jyotish talisman to get Mercury to bestow the best it has to offer in terms of Finance, business and communication!Note: The above links generally exist on the website for a period of 40 days after which they are periodically deleted to make way for new gemstones and to enable faster browsing. Scam Alert- Blatant Violations of Copyrights! As with all else, there is the flipside of being on the World Wide Web and being the best at what you do, and that is the blatant disregard of ownership of / rights to content. 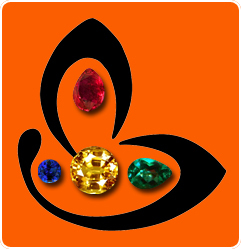 Gemstoneuniverse provides patrons with not only top of the line products and services but also provides in-depth knowledge about everything that falls in the ambit of gem therapy and planetary gemology. , who have unscrupulously copied entire pages – copyrighted content, picture and what have you to their site. We would like you to know that gemstone universe operates out of the singular office premises at Bangalore in India. No other website/ person/ agent/ franchisee has the authorization or the rights to sell products using our name or on behalf of Gemstone Universe. We shall not be responsible for any dealing made by people with such fraudulent parties. We request you to exercise caution and to let us know if you come across any such site/ individual, so that they can be brought to book. Gemstone Universe will take legal action against such violations. It is a request to you dear patrons to help us fight such unethical elements. Knowledge of sacred Gemology is available to only a select few and application of it is even rarer. Do let us know if you find our content copied by others. This will go in a long way towards helping planetary gemology and keep unethical people for cheating others and more importantly prevent unethical people with no knowledge from hurting others. This indiviual just copies images copyrighted by Gemstoneuniverse that are certified intellectual property of Gemstoneuniverse, does a bad photoshop job by covering Gemstoneuniverse logo with ludicrous colours and posts on his facebook page as his own. Thank You dear Patron you have been an awesome resource for us and millions of others. This blog copies Guruji Shrii Arnav’s defining work Do Gems work- No they don’t for 90% of the people. A classic piece of work that has touched countless lives in a positive manner and led to profound changes in the lives of the people worldwide! Leave alone the fact that he does not mention that this work does not belong to him he has put it as its own , he is happy go lucky in making Gem recommendations? No it’s not weird or distasteful. It makes one shudder to think that what kind of Gem recommendation this individual would actually be churning out with borrowed information with the only contribution being a paste job. The horror stories wherein Gems lead to medical conditions happen because of such distasteful things. Put your own life at risk but not the lives of others. Be careful of such characters. They are abundant. Thank You gracious patron!. You are a light worker! Such immense beauty and Sattvik and invigorating vibrations in this fully natural and unenhanced Emerald from Colombia! The immense Jyotish powers in this one are sure to empower the wearer! 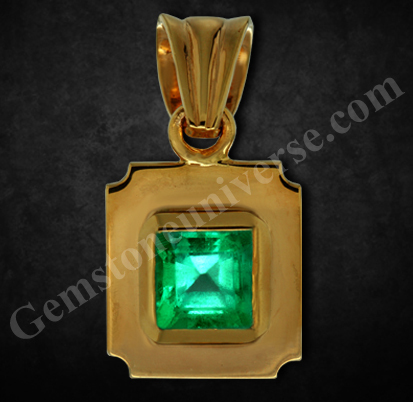 Its rich color and a beautiful Emerald cut and amazing eye clean clarity have all worked together in this 22K Gold pendant and made a powerful Jyotish talisman of Mercury!